I love being a dad. It's one of the greatest privileges on earth. There are few things in life better than being a dad. As a dad, I prefer to interact with my children is as the fun-loving, goofy, cool, awesome dad I am. But because I am a father, and because my kids are kids, there are times when I have to lower the boom and be the disciplinarian. I make it clear to my children that what I prefer is being the fun-loving, goofy, cool, awesome dad. But if they so choose, I will be the disciplinarian. It really is up to them how I relate with them. The same is true of our God. 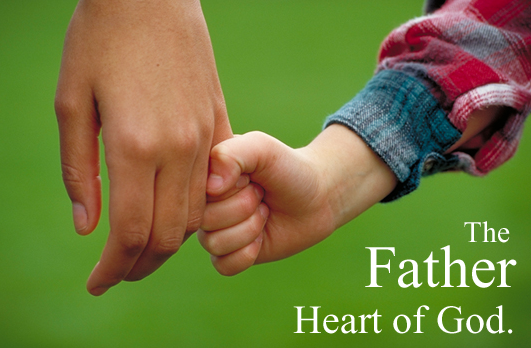 God prefers to delight in us and be a loving Father to us. However, because he loves us, he will discipline us if he must. God says, "See, I will refine and test them, for what else can I do because the sin of my people?" (Jeremiah 9:7). The question is, how do we want God to relate with us? As a loving Father who delights in his children? Or, must he be one who refines and tests us because our sins and disobedience? It's really a no brainer.